Best and Highest UK Silver Price? Best and Highest UK Silver Price? When you want to sell silver there are many pitfalls to avoid, it can be a minefield. There are "too good to be true" prices out there, some companies just show a "we pay up to" prices rather than accurate ones whilst other silver buyers and jewellers don't actually publish any at all.We do believe we do pay the highest and best "true UK prices for silver and scrap silver to the Public and Trade. Our price per gram is very high, but add to that these facts...We are a small family run business with no staff overheads in Birmingham. Remember fancy operations have to be paid for out of profits. We can work on tiny margins!! 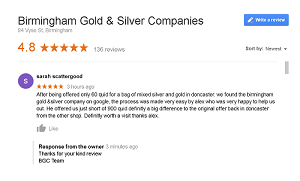 We do not charge fees, we keep weight loss, due to stones and wires to a minimum and we always identify the silver content correctly. . And if you are still not convinced then remember our scales are trading standards calibrated and we weigh items in front of you if you are on premises. Plus, we don't charge to return items, nor charge for cash paid, nor do we penalise you for non-silver items ie we return them free of charge.. The best and highest TRUE UK silver Price...........and please be aware of "too good to be true" silly Internet prices. They charge fees, underweigh and often do not honour their published prices. These companies either have silly amalgamated names such as ukgoldscrap OR they purport to be refiners encouraging you to "Deal Direct With The Refiner" These types of UK Gold refineries are not genuine and if they really paid their prices they couldn't remain in business.It just doesn't make sense!! Use your judgement. These should offer more but avoid them i/ if they don't have an actual address and ii/ if they don't actually state what the price poer gram is. Remember you dont want "up to" prices or market spot price That is not the price anyone in the world pays. All Gold buyers pay a PERCENTAGE of spot . You want to know their actual gold prices. 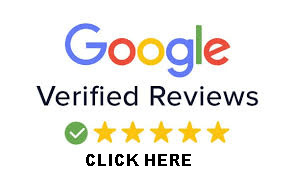 You also want to check that if you for any reason do not accept their gold buying offer that your items will be returned to you asap free of charge, that way they do not have you over a barrel. Vintage Cash for Silver Buyers. You may be tempted to send your silver jewellery to vintage cash for silver buying companies that advertise heavily online. NB We have heard that they offer well below scrap for silver jewellery even though they go to great lengths to pretend that they pay more They do not. Not only that, they do not even advertise the price they pay for items whereas our online calculator is clear and transparent. We have heard many horror stories about the poor offers these vintgage cash companies offer even with their fancy literature.